^ 1.0 1.1 Japan. formula1.com. [2016-10-02]. ^ Benson, Andrew. Malaysian GP: Sebastian Vettel given three-place grid penalty for Japan. BBC Sport (Sepang, Malaysia: BBC). 2016-10-02 [2016-10-03]. 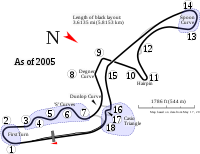 ^ 2016 Formula 1 Emirates Japanese Grand Prix – Qualifying. Formula1.com. Formula One World Championship Limited. 2016-10-08 [2016-10-08]. ^ Benson, Andrew. Malaysian GP: Sebastian Vettel given three-place grid penalty for Japan. BBC Sport (Sepang, Malaysia: BBC). 2 October 2016 [3 October 2016]. ^ 2016 Formula 1 Emirates Japanese Grand Prix – Race Result. Formula1.com. Formula One World Championship Limited. 2016-10-09 [2016-10-09].